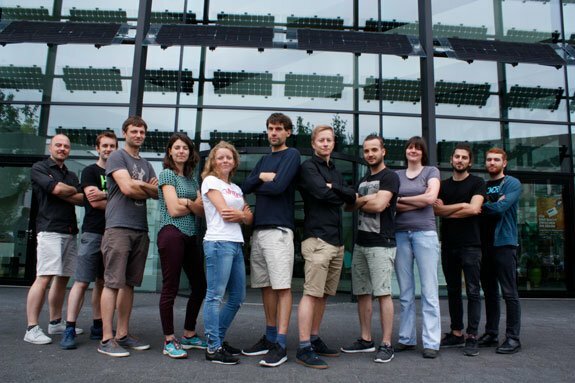 Solaga, the eco-focused algal technology startup in Berlin, Germany. 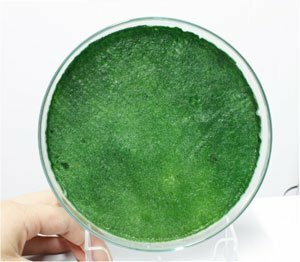 erlin, Germany-based biotechnology startup Solaga is working on developing the commercial potential of microalgae biofilms. The company is currently involved in two major projects — what they consider sustainable applications of this technology. The first is a frame containing a biofilm that has the purpose of cleaning air from pollutants when hung in a room. The company’s first product is a frame containing a biofilm that cleans pollutants from the air when hung in a room. The second project uses biofilms like green panels that can be put on roof tops to produce energy. The panels are coupled to a biogas-producing system that uses the components secreted by the green panel. The biogas can then be stored. Solaga created Alwe, an interior design element harboring a living biofilm. Alwe is an aesthetic miniature ecosystem that has been designed as a green wall décor. The company suggests that Alwe will bring nature back into the home — a step toward transforming grey urban spaces into green areas. At the moment, Solaga is building their company via crowdfunding.